The Russian Defense Ministry denied on Friday claims by the Polish defense minister alleging the sale of two Mistral-class helicopter carriers by Egypt to Russia for $1, calling them ‘nonsense. ‘MOSCOW — The Egyptian embassy in Moscow refuted the claims earlier in the day. 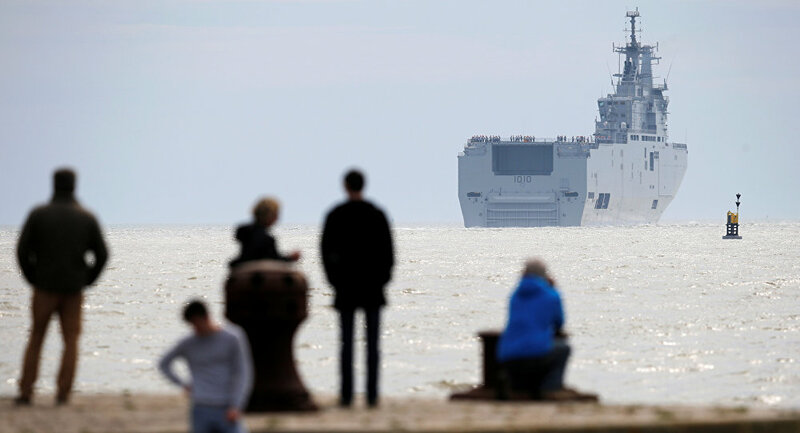 “Statements by Antoni Macierewicz about the sale of Mistral-class helicopter carriers by Egypt to Russia are nonsense,” ministry’s spokesman Maj. Gen. Igor Konashenkov said. “Macierewicz regularly makes statements of this kind to promote his image,” Konashenkov stressed. In August 2015, Paris and Moscow formally terminated the 1.2-billion-euro (some $1.3 billion at current exchange rates) deal on the construction and delivery of two Mistral-class warships. Shortly after, French President Francois Hollande confirmed that a deal had been reached with Egypt on the delivery of two Mistrals to the Arab country. On Tuesday, Anatoly Punchuk, deputy director of the Russian Federal Service for Military-Technical Cooperation (FSMTC) said that Egypt had appealed to Russia to supply Ka-52 helicopters (NATO reporting name: Hokum B) for the Mistrals. Anatoly Punchuk, deputy director of the Russian Federal Service for Military-Technical Cooperation (FSMTC), said that FSMTC received n appeal from the Egyptian side for the supplies of shipborne Ka-52. PARIS. 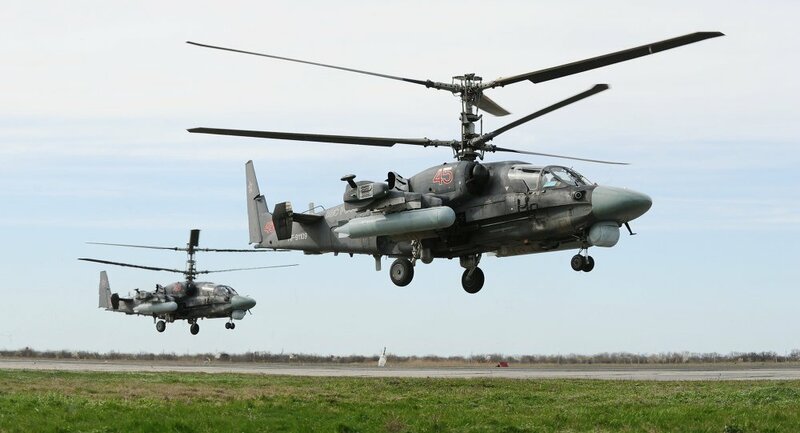 Egypt has appealed to Russia to supply Ka-52 helicopters (NATO reporting name: Hokum B) for Mistral helicopter carriers, Anatoly Punchuk, deputy director of the Russian Federal Service for Military-Technical Cooperation (FSMTC), said Tuesday. “We received an appeal from the Egyptian side for the supplies of shipborne Ka-52. The customer is considering the possibility of forming several helicopter squadrons. The exact amount will be agreed in the course of further negotiations,” Punchuk said. SEVERODVINSK, July 29. /TASS/. Technical specifications for the domestic versions of France’s Mistral-class helicopter carriers have been prepared, Russian Navy Deputy Commander-in-Chief Viktor Bursuk said on Friday. “The Navy has already prepared the technical assignment,” Bursuk said, responding to the relevant question. Russia’s United Shipbuilding Corporation (USC) said earlier the USC had the potential to develop the domestic version of Mistral-class amphibious assault ships for the Russian Navy but had not received any such requests yet. The 1.12 billion-euro contract for the construction of two Mistral-type helicopter carriers for the Russian Navy was signed in June 2011. 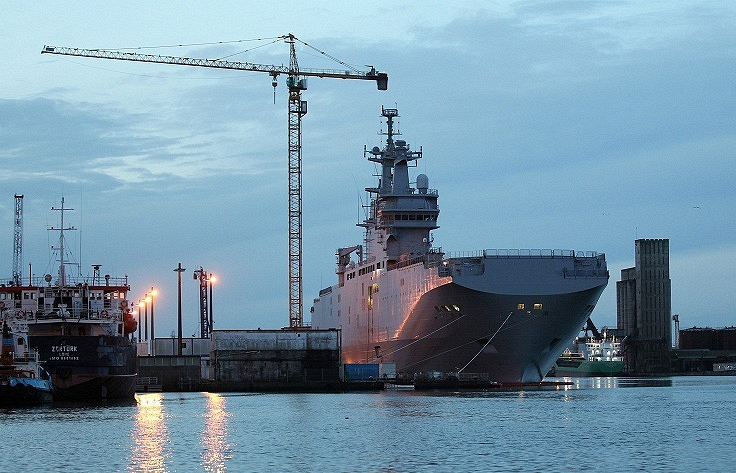 In August 2015, Russia and France severed the Mistral contract.It was reported that France had paid Russia slightly less than 1 billion euros in compensation for its failure to deliver the helicopter carriers. Soon after that, the Mistral-class ambiguous assault ships originally designated for the Russian Navy were purchased by Egypt – the relevant contract was signed in Cairo in October 2015. A compartment in the cargo deck can accommodate more than 40 tanks or 70 motorized vehicles. Mistral helicopter carriers are capable of performing four tasks at the same time: receive helicopters, land troops, and act as a command post and a floating hospital. According to the CBC Extra broadcaster, the helicopter carrier named after former Egypt’s leader Gamal Abdel Nasser is due to take part in coming days in the joint drills of the French and Egyptian Navy underway in the Mediterranean Sea. In August 2015, Paris and Moscow formally terminated the 1.2-billion-euro (some $1.3 billion at current exchange rates) deal on the construction and delivery of two Mistral-class helicopter carriers. Shortly after, French President Francois Hollande confirmed that a deal had been reached with Egypt on the delivery of the two Mistrals to the Arab country.France handed over to Egypt the first Mistral-class helicopter carrier on June 2. The second ship is set to be transferred in September this year. The Egyptian flag is now flying on the Mistral-class helicopter carrier, that was originally built for Russia in France, according to Egypt’s ONTV. The Egyptian flag is now flying on the Mistral-class helicopter carrier that France has delivered to Egypt, Egypt’s ONTV aired on Thursday. The Mistral was originally built for Russia but Paris later reneged on the deal, citing Russia’s alleged involvement in the Ukrainian crisis. France will deliver the Mistral-class helicopter carriers in June-September 2016. CAIRO (Sputnik) — The French-made Mistral-class helicopter carriers will be delivered to Egypt in June-September 2016, the French ambassador in Cairo said Sunday. “The delivery of Mistrals will take place between June and September this year, “Andre Parant said during a press conference in the Egyptian capital. Moscow and Paris officially terminated the $1.3-billion contract on the delivery of the Mistral-class warships in August 2015. Moscow has received some $1 billion in compensation. Cairo and Paris signed a contract in October 2015 for the purchase of two helicopter carriers originally built by France for Russia. The ships are designed to carry 16 Ka-27/29 Helix anti submarine/assault and Ka-52 Hokum B strike helicopters. Russia is discussing the delivery of Ka-52K helicopters for the Mistral warships, the Russian Federal Service for Military-Technical Cooperation said. “The negotiations on the issue with the Egyptians are underway, we look forward to the positive outcome. In particular, we are talking about ‘Ka’ deck helicopters and other equipment,” Anatoly Punchuk told RIA Novosti in an interview on the sidelines of an arms exhibition in Chile. The Mistral-class carriers were built for Russia in France, but France later reneged on the deal and decided to sell the ships to Egypt. The ships are designed to carry 16 Ka-27/29 Helix anti submarine/assault and Ka-52 Hokum B strike helicopters.